A classic and simple chic white lace Dress for Women / Long white Dress / White Party Dress / Long Lace Dress for Cocktail / Party / Evening and Wedding! 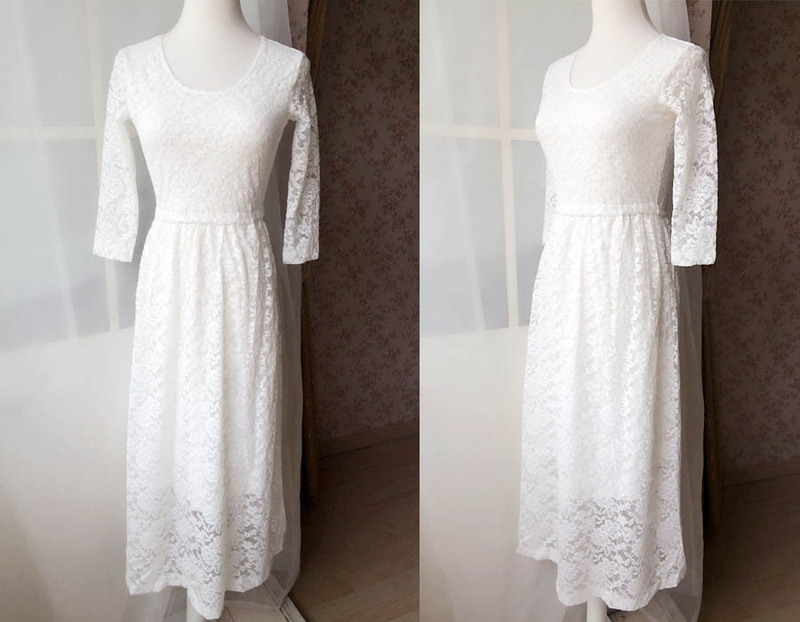 This little white dress is featured with high quality lace material, high waist design, and this dress is very fashionable, gorgeous and high class. Must have dress in your closet. * Full white lace dress is must have in every girl's closet. 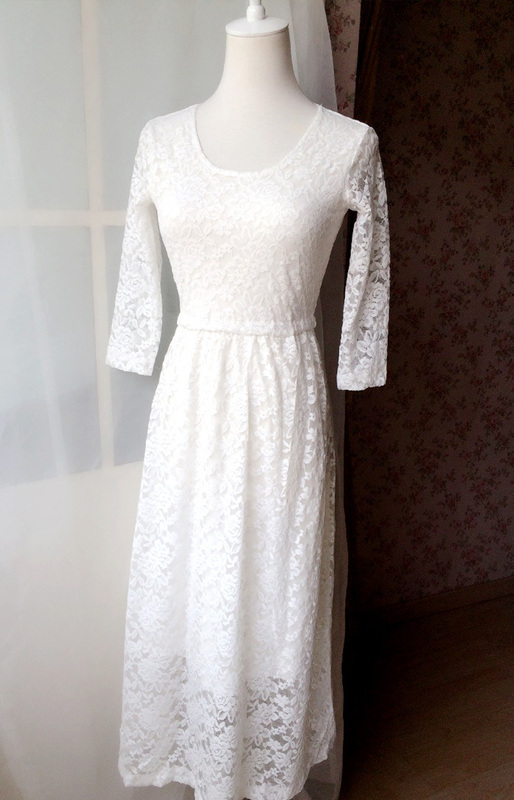 This white lace dress is simple cutting, easily wear in spring, autumn and winter. * Top quality lace material, with white / black two colors. and also accept custom order. * We need around 5-8 days for production. And the shipping time basically leads around 8-15 days to arrive as of our experience. If you want faster shipping, please let us know and Extra shipping costs are necessary. * We prepared full sizes / Plus sizes to meet your request.